For the second year in a row, many homeowners in New York City and across the country will get hit with another costly increase to their flood insurance premiums starting April 1, 2016, when their policies begin to be renewed. And, for the first time, homeowners in the high risk flood zones whose policies have lapsed for more than 90 days will have to reinstate them at the higher full-risk rate — which could mean thousands of dollars in additional costs. New Yorkers are particularly affected by the new flood insurance rules under the Biggert-Waters Flood Insurance Reform Act of 2012 and the Homeowner Flood Insurance Affordability Act that the U.S. Congress passed in 2014. New York City, surrounded by 520 miles of waterfront, has more residents living in high-risk flood zones than any other city in the United States. Unlike most other coastal communities, the vast majority of New York City’s waterfront homes were built long before the National Flood Insurance Program’s flood maps for New York City were put in place in 1983 and special guidelines for construction were set. In this year’s guidance about the rate increases, FEMA stated, “It is important to note that nearly 80% of NFIP policyholders are minimally impacted by [Congressional changes to the program].” Unfortunately, in New York City, that ratio is the reverse because of how many older buildings the City has: about 80% of the properties in New York City’s high-risk flood zones were built before the first flood map was adopted and they face the biggest increases in the cost of their insurance. Primary Homes: When you renew your policy for your primary home, your insurance rate could increase by up to 18%. However, unlike last year, homeowners in the highest risk flood zones should only see an increase in their premiums of up to 5%. If your home was substantially damaged in Hurricanes Sandy or Irene, you will see a rate increase of 25% annually until your premium reaches the full-risk rate. Second Homes & Businesses: If you renew a policy for a second home or a business in the high risk flood zones, your rate will increase by 25% annually until your premium reaches the full-risk rate. Annual Charge: In addition to this rate increase, you will be charged a “Homeowner Flood Insurance Affordability Act of 2014 (HFIAA) surcharge.” For primary homes, the charge is $25. For businesses and second homes, the charge is $250. If you see increases on your policy that are above the increases outlined here, call your broker and make them explain how they are getting to the new, higher rates. With the HFIAA surcharge, you will automatically be charged $250 — the second-home rate — unless you prove the home is your primary home. You will receive a notice from your agent that will require you to submit proof. * If you do not provide this documentation within 30 days of the date of the notice, you will be charged $250 per year. Learn more at the Center for NYC Neighborhoods’ flood insurance website, FloodHelpNY.org. 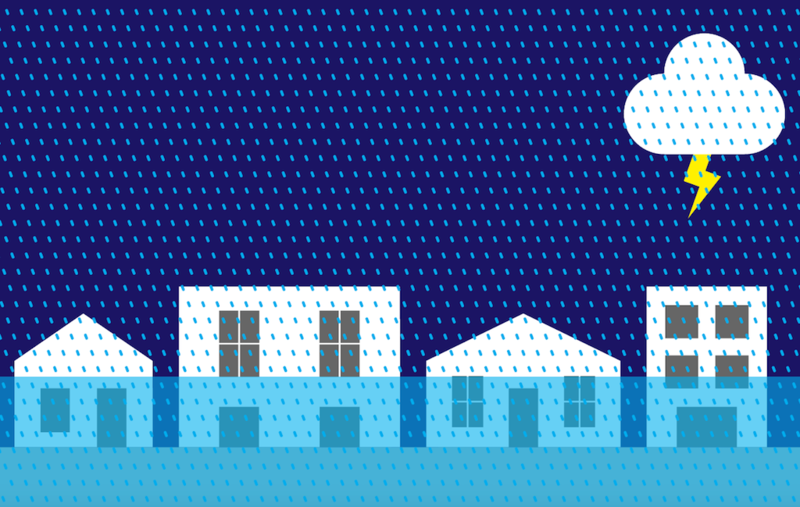 It’s New York’s go-to source for everything you need to know about flood insurance and your flood risk. Have questions? Call our Homeowner Hotline at 646-786-0888. *Driver license, automobile registration, proof of insurance for a vehicle, voter registration, documents showing where your children attend school, or homestead tax credit form for primary residents.